The beginning of spring is more than welcome on the East Coast — especially after a harsh winter season. 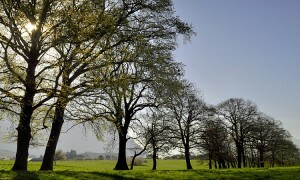 Celebrate this lovely season by making your home look like a nice, warm, breezy spring day in the country. The beginning of spring is more than welcome on the East Coast — especially after a harsh winter season. Celebrate this lovely season by making your home look like a nice, warm, breezy spring day in the country, even though you live in Philadelphia. Explore these country inspired spring decor ideas for your Philly home. Begin your spring decor transformation in the kitchen, since that is probably one of the rooms where you spend most of your time. The windows are a focal point for a country kitchen — they allow tons of light to enter the room, so make sure your curtains are light and sheer. 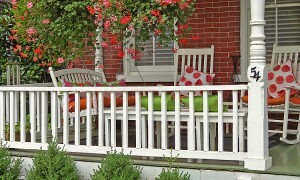 Add a short, floral-patterned valance at the top. Next, add a “proper” country kitchen floor mat in front of your sink — look for a mat that has a rooster or daisy pattern. Finally, every country kitchen needs plenty of counter space to prepare delicious meals, so for the finishing touch, get a small portable white kitchen island on wheels with a wooden top. You can use it for cutting up your vegetables and meat or for adding a vase of beautiful, fragrant spring marigolds and daisies. To add the look of “spring in the country” to your bedroom, replace all of your heavy, dark bedding from the winter with floral, checkered or mixed patterns. Red and white checkered bedding puts you in the mind of an inviting covered picnic table. Bedding designed in two or more shades of green (such as a light green comforter along with an array of deeper green pillows) is an ode to the growth of green plants that’s characteristic of the spring season. And to add a bright, happy look, choose a yellow country sunflower pattern for your bedding, including crisp white linens. It might make you feel as if you’re lying in a patch of sunflowers on a farm in the country. The next place where you can easily add a touch of spring is in your living room. Begin by rearranging the sofa, coffee table and any end tables. Place the sofa in front of or near the window — this allows you to feel the warmth of the spring sun every time you sit down to relax. 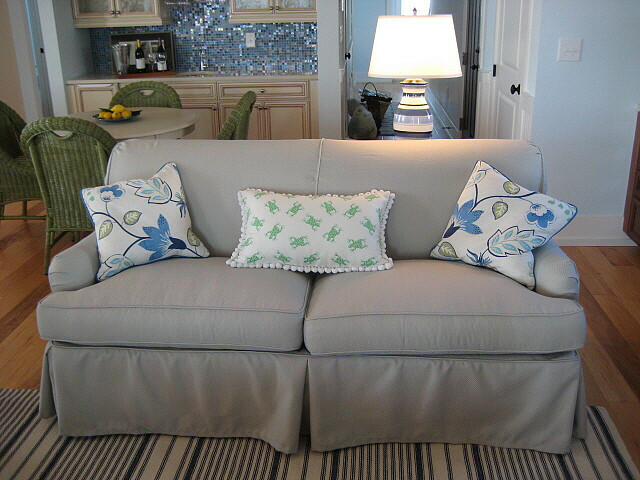 Next, replace old throw pillows with new ones that are brightly colored (green, yellow, white, pink, and blue). For inspiration, look at common Easter colors. Examine the various shades of tulips or a blend of colors that are characteristic of marigolds. Patterned and lace-trimmed pillows are perfect — look for styles that are hand-stitched with country inspired scenes like farm houses, cottages, and carriages. When you incorporate these country inspired spring decor ideas into the interior design of your kitchen, bedroom, and living room, you may come home from a long day traversing the busy city of Philadelphia and feel as if you’ve stepped into a country oasis.